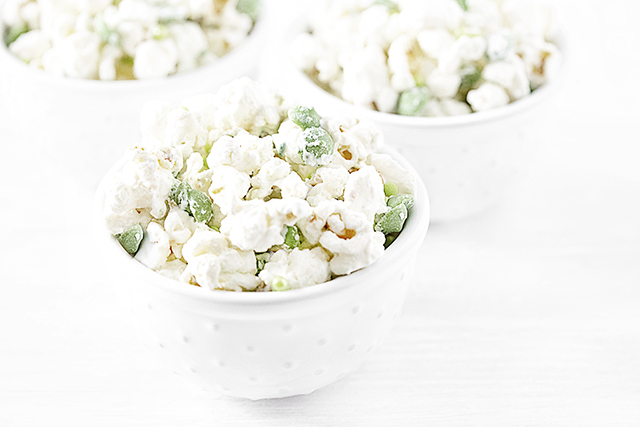 Place popcorn in large bowl, gently mix in the melted white candy into the popped popcorn. Add salt and sprinkles by sprinkling over the popcorn and gently mixing before the melted candy hardens. Add green candy melts (drizzle pouch) last, to ensure it doesn't melt. Lay on large baking sheet until it hardens, optional.